A soothing NATURAL remedy for tired, inflamed eyes, pink eye, infections, and computer weary eyes. This is a REUSABLE, REFILLABLE eye poultice made with Super Soft Organic Bamboo Knit. Included is an easy to use zipper to replace the Food Grade Coconut Shell Activated Charcoal Granular and not your eye pad! Can be used moist or dry. May be steamed in a vegetable steamer. Remove poultice from steamer and when comfortable to the bare hand, place over eyes with the smooth side against eyes and the zipper facing outward. Adjust Velcro straps in back and mold to face and eyes. DO NOT MICROWAVE! ZIPPER HAS METAL PARTS! Sit back in your favorite chair or call it a day and head to bed. For best results, leave on for a minimum of 30 minutes. 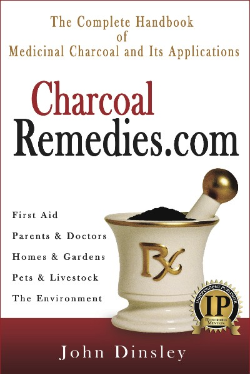 Depending on use, the charcoal will last six months to a year. Empty old charcoal granular and refill with fresh charcoal. There is approximately one cup per mask, use what is most comfortable for you. To wash, empty charcoal into a sealed container (glass is best) and gently hand or machine wash and dry on gentle cycle using a gentle, unscented soap. Wash in like colors. Mask is made of a Soft, Organic Bamboo Knit & Food Grade Coconut Shell Activated Charcoal Granular. One size fits most. Length is 11", widest part 4 1/4". Straps are 10 " each & Velcro is 5 1/4" each.